Outcast TV Series Cast Adds Six, Including Star Trek Actor | Nerd Much? 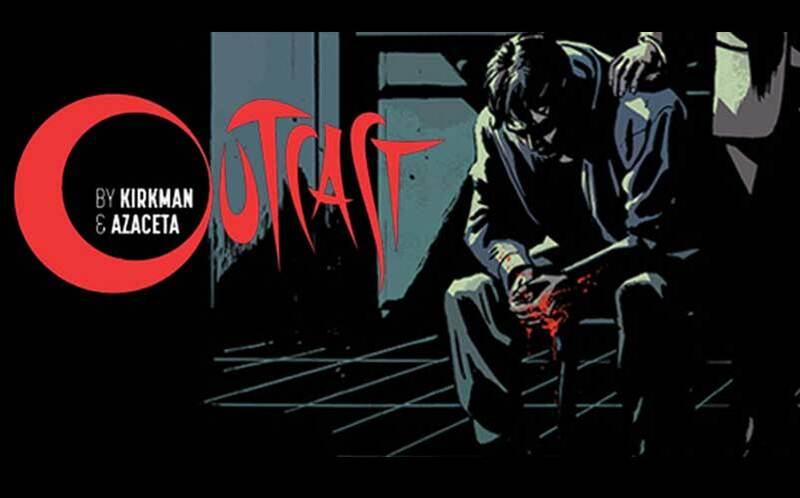 Cinemax has announced the second round of casting details regarding their upcoming comic book TV show adaptation of Outcast, the comic created by Robert Kirkman (creator of The Walking Dead) for Skybound/Image Comics. According to Deadline, the upcoming TV series has added six new cast members as the production begins in South Carolina. The additions include David Denman (The Office), Melinda McGraw (Mad Men), Grace Zabriskie (The Killing), Catherine Dent (Touch), Lee Tergesen (The Americans), and Brent Spiner (yes, Data from Star Trek: Enterprise). The cast will be led by Patrick Fugit and Philip Glenister. The Outcast TV series will follow the story of Kyle Barnes, a young man plagued by possession since he was a child. Now that he’s an adult, he embarks on a journey to find answers but what he uncovers could mean the end of life on Earth as we know it. Denman will play the role of Barnes’ sister’s husband, a by-the-books small-town cop who challenges his wife’s loyalty to Kyle. Melinda McGraw’s role is that of Patricia MacCready, a single mother and devout member of the Church. Zabriskie will play the role of Mildred, one of the old guard parishioners at the church who always says what’s on her mind. Dent has been cast as Janet Anderson, the ex-wife of the church’s reverend. Tergesen is Blake Morrow, a former police officer on death row for murdering his partner’s wife. Fans were given the first trailer for Outcast at SDCC in July, and it certainly has us intrigued. There isn’t an Outcast premiere date set just yet, as we only know that it’s coming at some point in 2016.